Mahoba is a city in Mahoba District in Bundelkhand Region, Uttar Pradesh. The name Mahoba gets its name from Mahotsav Nagar or the “City of Festivals”. Mahoba is famous for its glorious history. It’s known as Alha Udal Nagari or Veer Bhumi Nagari. Eminent Khajuraho Temples, one of the great masterpieces of architecture makes it attractive tourists spot worldwide. The literacy rate of the city is 65.27 %. The city has many reputed Colleges, Institutes, Schools and Professional Study Centers such as Sai College of Law, Veerbhumi Government P.G. College, Government Girls Polytechnic, Degree College and many more. To fulfill the growing demand for technical skills in today’s scenario , the state has three Government Industrial Training Institutes (ITI’s) and one Private Industrial Training Institutes (ITI) that offers technical as well as non-technical courses to the students. 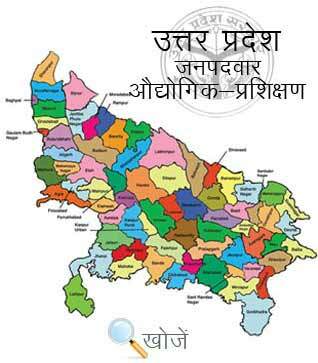 In Uttar Pradesh, Vyavasayik Pareeksha Parishad (www.vppup.in) is responsible for conducting the entrance examination for admission to various trade courses in ITI’s. Students can visit online official portal www.upiti.in which provides them all the necessary information regarding application forms, important notifications, result dates etc. The prerequisite to enroll in different courses is Xth passed with the minimum age of 14 years.